Chris Nowinski first wrote Head Games in 2006. It is now in its 3rd edition, and has inspired two documentary films. The original 2006 Head Games: Football’s Concussion Crisis is often credited with being the first book on concussions to capture the scope of public health crisis we were facing with brain trauma in sports. 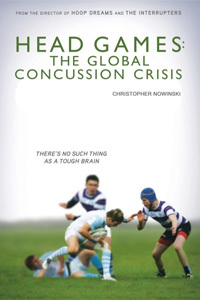 The book has been updated twice (2012 and 2014) and now is in its 3rd edition as Head Games: the Global Concussion Crisis. 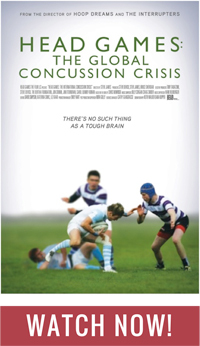 Head Games: Football’s Concussion Crisis inspired the documentaries Head Games (2012) and Head Games: the Global Concussion Crisis (2014) by the legendary director Steve James. Among its many awards, Sports Illustrated named it Best Sports Movie of 2012, and it won the Best Documentary at the Boston Film Festival. The 2012 version focuses on American sports, including football. The 2014 focuses more on global sports, including rugby and soccer.